Percy on Vincent van Gogh’s chair. Van Gogh was also ginger, now I come to think of it, though it is fair to say that Percy is better equipped in the ear department than Mr van Gogh ever was. 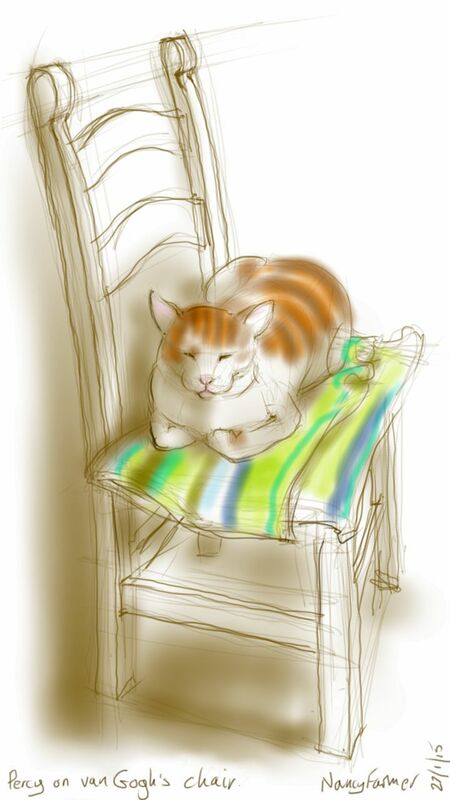 This entry was posted in Cats and tagged art, cat, cat drawing, cat-of-the-day, drawing, ginger cat, illustration, sketch, van Gogh's chair, Vincent van Gogh on January 27, 2015 by Nancy Farmer.